This soap is full of medicinal properties, killing bacteria and fungi for skin conditions such as eczema and psoriasis; however, the main action of this soap is due to the detoxing and cleansing properties of the activated charcoal. 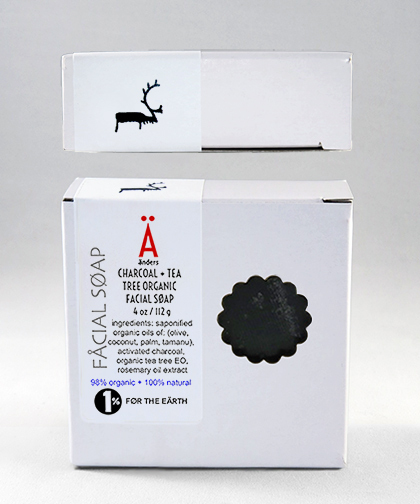 This soap has soothing benefits for sensitive or painful skin. All of our “All Natural” soaps are just that (100% natural). They contain pure therapeutic grade essential oils (some are organic) and natural ingredients like: organic oatmeal, sea kelp, stone ground grits etc. We use extra virgin organic olive oil (EVOOO) as the base oil, along with the extra virgin organic oils of coconut and sustainable palm. We use rosemary oil extract (ROE) as a plant based natural preservative. We make all of our soaps using the cold process method of manufacturing. This insures that the soap creates its own natural glycerin and the essential oils effectiveness is retained (by far the best soap making method). All of our soaps are completely safe to also be used on the face. Many people also use it to wash their hair, and many men use our soaps to shave.